Because most of us spend more time indoors than we do outdoors, indoor air quality has become vital to contributing to our overall health and our ability to remain free of chronic disease. 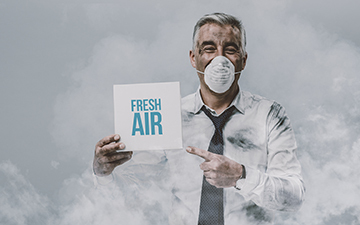 Many people do not realize that poor indoor ventilation can have a lasting and detrimental impact on all parts of the body, including the skin, eyes and, more importantly, the lungs. Emanating as an invisible gas from the decay of radium, radioactive radon may seep into homes and buildings when the structure is built on top of rocks containing radium. Every year, thousands of people are diagnosed with lung cancer as the result of unknowingly inhaling radon for decades. Testing for radon gas is the only way to detect its presence, since it is odorless, tasteless and does not cause immediately perceptible symptoms. Methods to mitigate radon usually involve professional sealing of basement and house foundations and enhancing ventilation in the home by installing a filter that prevents radon molecules from contaminating the air. Asthma, a chronic inflammation of the airway tubes responsible for carrying oxygen into your lungs, makes it difficult for sufferers to breathe when these airways become irritated and swell shut. Asthma attacks are frequently triggered by pet dander, pollen, mold, house dust, smoke and airborne chemicals like carbon monoxide and radon. High-quality air filters can prevent asthma attacks by effectively removing particulates from the air inside an enclosed building. Usually made of tightly woven strands of polyester or fiberglass, air filters are attached to cooling or heating systems in a way that allows air to pass through the filter material before entering the home. Asthmatics living in homes where the air is purified and free from irritants experience better health and reduced incidences of asthma attacks. Seasonal or year-round dust allergies occur when the immune system reacts abnormally to foreign substances that would otherwise be harmless, such as plant mold or pollen and pet dander. An allergy attack to airborne particulates causes severe congestion, itching eyes, wheezing and a general feeling of malaise until the person suffering from the attack takes medication or finds cleaner air to breathe. For removal of allergens from indoor air, ionizing purifiers provide a powerful alternative to air filters. Ionizing purifiers rely on two metallic plates to clean the air instead of a filter. One plate possesses a negative charge and one plate possesses a positive charge that removes atoms by “charging” them. This ionization process forces allergen atoms to adopt either a negative or positive charge. The allergens are then attracted to one of the metal plates and rapidly eliminated from indoor air. Chronic sinusitis, dry eyes, sore throats and headaches are additional health issues related to poor indoor air quality. How ill a person feels generally depends on their age, their current health status and humidity levels in the home. The optimum humidity level is between 40 and 60 percent, with low humidity promoting bacterial and viral infections, asthma attacks and respiratory infections. High humidity (over 70 percent) exacerbates air impurities resulting from mold growth and dust mites. Another type of exemplary filter that can alleviate these types of respiratory ailments caused by poor indoor air quality is the HEPA (High Efficiency Particulate Air). Found in hospitals, government laboratories, airplanes and homes, HEPA filters must fulfill specific standards put forth by the U.S. Department of Energy. Genuine HEPA filters are capable of eliminating 99.97 percent of the particulates as small as .3 microns in size. 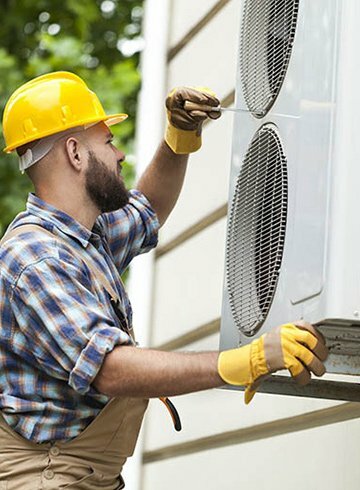 By enhancing circulation of indoor air while simultaneously filtering harmful particulates from the air, an air cleaner will provide you and your family with many years of healthy living as well as additional benefits that extend beyond the fact that you are breathing clean, fresh air inside your home. Potentially extending your lifespan by reducing or eliminating health problems that are aggravated by consistently inhaling toxic air particulates. Keep pets that were once causing family members to suffer allergy symptoms. Reduce the anxiety of asthmatics who fear enduring debilitating asthma attacks. Humidity levels remain regulated, which minimizes health issues associated with indoor air moisture rates that are too low or too high. Quick, easy and affordable, home air-cleaning systems not only represent an investment in you and your family’s long-term health but also contribute to your home’s long-term property value. Potential home buyers are attracted to houses containing air cleaners because they know that homeowner is someone who has taken the time to make sure the overall quality of the home remains exceptionally healthy and clean for everyone residing there. Maintenance of a home air-purifying system after installation is minimal, involving replacement of the filter every 12 to 16 months. If members of the household suffer from chronic respiratory diseases, filter replacement may need initiated more frequently than normal. Customers purchasing an air-cleaning system for their home can direct any questions or concerns to our company representatives who will be glad to assist you in any way possible with your new air-cleaning system. 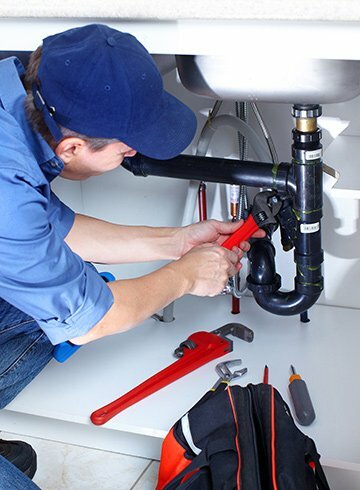 For clean indoor air that will keep your family healthy and happy, look to Matheson Heating • Air • Plumbing. Call our indoor air quality experts at (248) 363-4868 or submit our online form to get started.